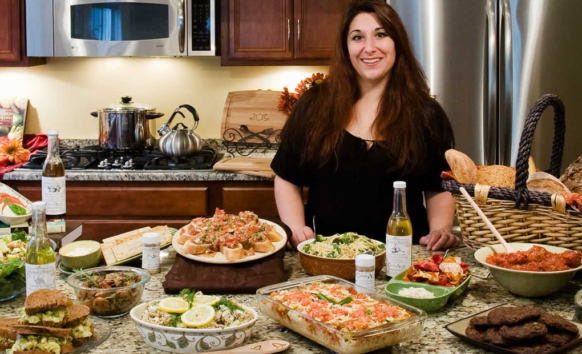 We’re doing a giveaway for a Cucina Aurora Gift package! If you look at my review you can see some of their awesome products! Unlike many oil infusions you may find, Cucina Aurora only uses 100% Olive Oil. The olive oil is meant and designed for cooking. You won’t find a smoky mess when you cook with the oils. Only the clean taste of herbs in high quality Olive Oil perfect for roasting, sautéing and marinating. You will love their products! The winner will be chosen by Rafflecopter. We will email the winner with a certain amount of time to claim the prize. If we don’t hear back from the winner,a new winner will be chosen. Thank you so much Cucina Aurora Kitchen Witchery for providing this great giveaway for our readers! We love it!